It can be difficult for educators to know how to provide support at school following a tragic event that may impact students in some way. This Info-Sheet offers some ways that educators can offer helpful assistance as part of daily classroom life. 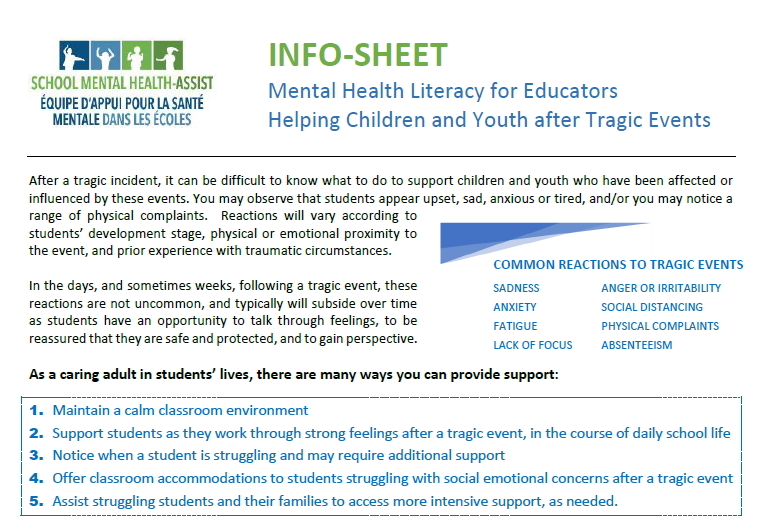 Learn more about Mental Health Literacy for Educators Helping Children and Youth after Tragic Events.